Lubricators cushion the impact of the arriving plunger and afford easy access to the plunger for maintenance or replacement. Backed by more than 30 years of development and application expertise, PCS Ferguson’s lubricators are designed for maximum durability, safety and efficiency. With design options that include single or double outlet, flanged or threaded, standard or low temperature ratings, and sizes from 1 ¼" to 3 ½", we deliver easily customized lubricators for any wellhead configuration and specification. The patented Poly-Spring™, which maintains optimal impact absorption for speeds up to 3,000 ft/min. Arrival Sesnsors detects plunger arrival at surface and triggers the controller to operate the motor valve, a key element of optimized production. 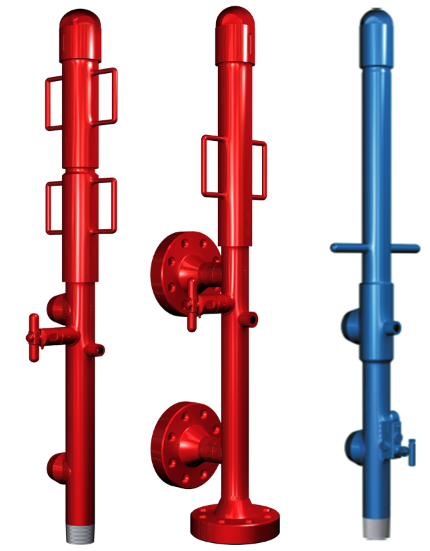 PCS Ferguson’s arrival sensors are engineered to detect 100% of plunger arrivals—with no false reports. The 3DSO® Arrival Sensor incorporates an embedded microprocessor that continually calibrates to the well, providing the intelligence required to eliminate false arrival reports. And 3D navigation technology detects plunger location in three axes to penetrate through the lubricator and accurately sense the plunger’s arrival, each and every time. PCS Ferguson’s Inductive Arrival Sensor alerts the controller of plunger arrival with a sensitivity that can be adjusted to gain the optimum signal. The electronic sensor’s adjustability is ideal for applications where plunger detection is difficult or unreliable. It is useful for older style wellheads/catchers where a sensor housing is not available. Controllers can manage virtually all facilites on site. 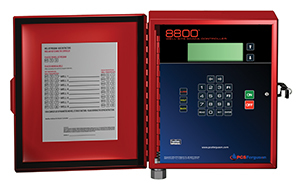 The PCS Ferguson 8000 Series controllers allow you to manage your assets by exception.